If you've been waiting for the opportunity to shoot, punch or otherwise destroy demonkind on the go, Bethesda and Nintendo have good news for you. Bethesda's popular demon-slaying title 'Doom' is finally making its way to the Nintendo Switch on November 10. The concept of bringing games that are traditionally restricted to full-sized consoles and PCs to a mobile audience is clearly one Bethesda is interested in, especially with Skyrim set to arrive on the platform on November 17 and Wolfenstein II: The New Colossus following suit in 2018. However, with Nintendo's reputation as a family-friendly developer and console creator, it might be surprising for some to see Doom gameplay featured alongside the likes of Super Mario Odyssey or Splatoon 2 on the company's official YouTube channel. According to one Wall Street Journal report, though, Nintendo's recent embrace of the more "mature" side of gaming is a deliberate attempt to appeal to a wider audience and attract more publishers to the platform. Bethesda's adoption of the Switch -- if it proves successful -- could incentivize other companies to follow their example. 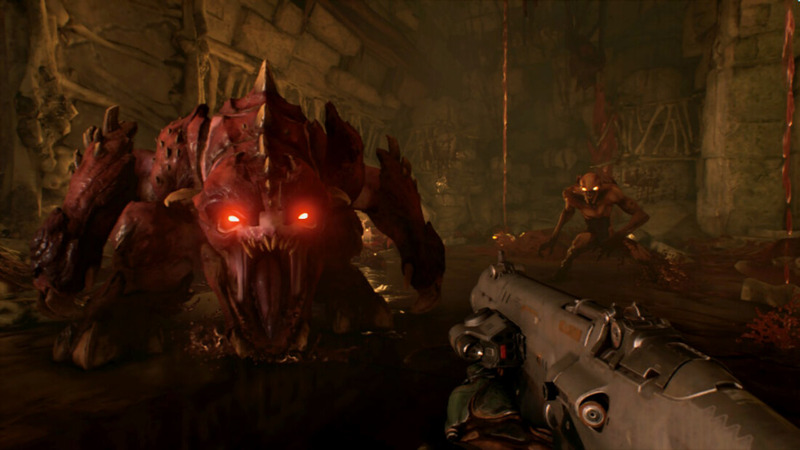 Company ambitions aside, there are a few technical and graphical compromises associated with porting Doom over to the Switch, however minor they might be. In addition to the Switch's built-in 30FPS lock, a few hands-on previews back in September reported longer loading screens and downgraded anti-aliasing compared to the game's console and PC counterparts. Still, those are sacrifices many potential players will likely be willing to make if it means the ability to play Doom on the go.